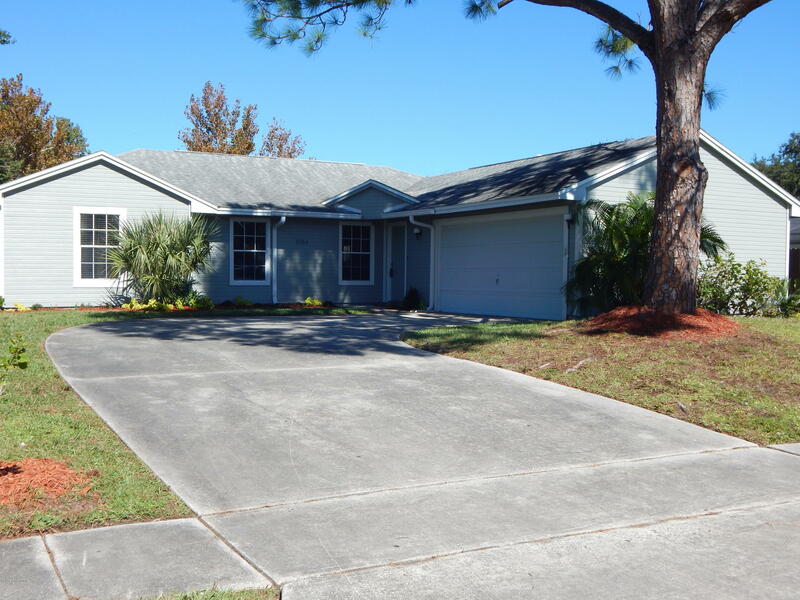 Freshly painted inside and out 4 bdrm/2 bath/ 2 car garage home centrally located in Rockledge. Carpets in the bedrooms and tile in other areas. Yes there is even a bonus room which can be used as an office or family room. Sliding door in dining room leading out to a cozy patio. New landscaping around whole house. Courtesy of Surfside Properties & Mgt.